Motorcycle riding gives you a special connection with the world. You feel the wind in your face, smell your surroundings, and hear the sound of your engine below. 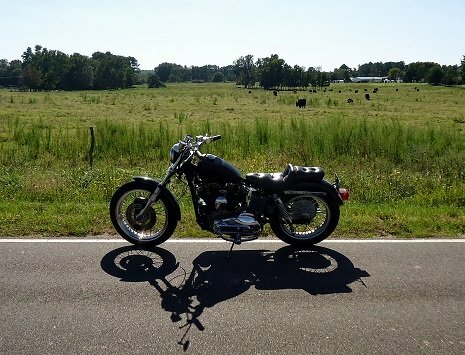 Maintaining your classic bike is best way to ensure every ride you take will be safe and enjoyable. Just how good is your battery? Since kickstart bikes don't use a battery for starting, it can be in pretty bad shape without you knowing. Check the connections, and the fluid level. Top off with water if necessary, and allow to stand awhile before charging. Put a small trickle charger on it overnight. A motorcycle battery should never receive the kind of high-rate booster charge intended for a car battery. Trickle chargers put out one-amp or less, and they are inexpensive, but they cannot be left on longer than needed without monitoring the battery. Constant-current chargers are often called smart-chargers, because they can vary the charging voltage to keep current constant. 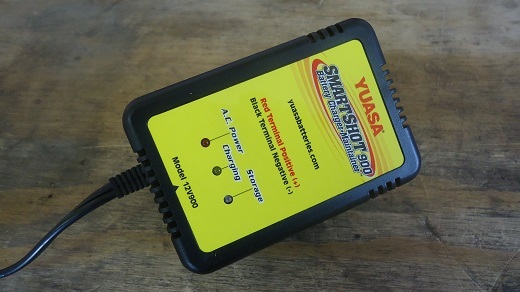 The phrase 'battery tender' is a brand name, and they are one of the most popular battery maintenance devices. 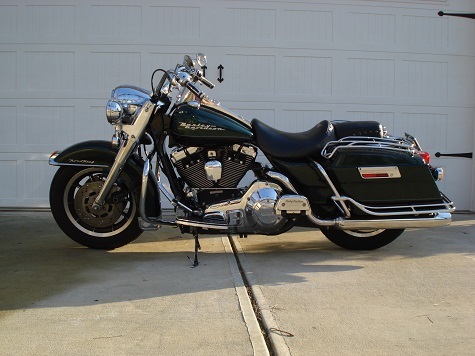 Because motorcycles are sometimes recreational vehicles, they often sit for a long time between use. A battery can only be deep-cycled a limited number of times. Some of the newer technology battery chargers claim to be able to restore a deeply-discharged maintenance-free battery. 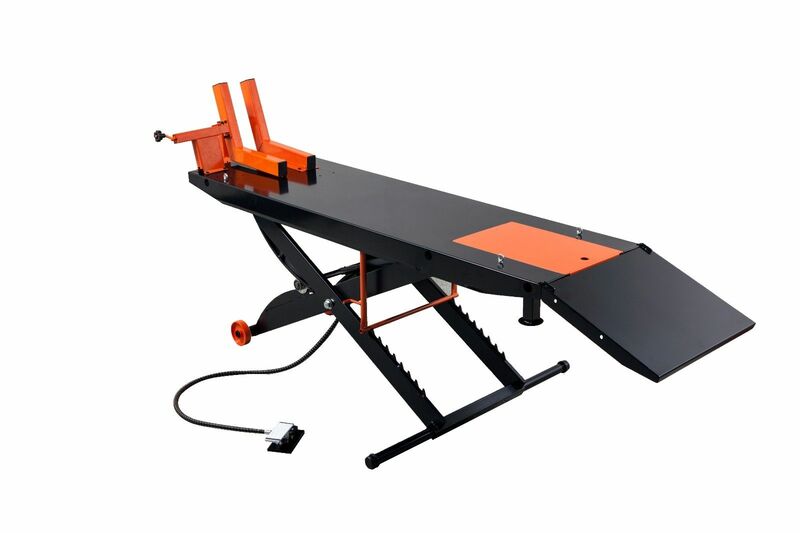 This is done by increasing the initial charging voltage to overcome the internal resistance. Do I Need To Use Distilled Water In My Battery? Adding distilled water to a battery is recommended simply because it has no impurities in it. If you live in an area where your water supply has a very high mineral content, use distilled water in your battery. If not, the choice is yours. It certainly does no harm, but is not always needed. 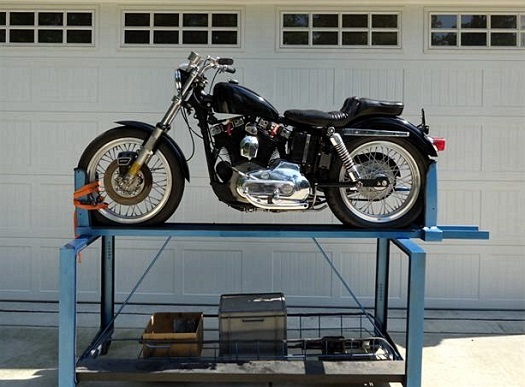 If you're planning on buying a motorcycle lift stand, consider where you will store it - they take up quite a bit of floor space. Most riders park their motorcycle on the lift when it's down. 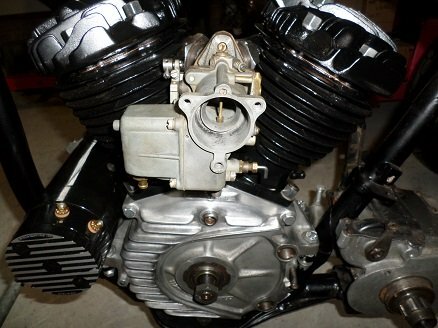 One of the most basic parts of motorcycle maintenance is keeping the chain properly lubed. Use a chain lubrication product rather than a light penetrant like WD-40. After applying chain lube, wipe off all excess with a rag, otherwise it will sling onto places you don't want it to be (like your pants). 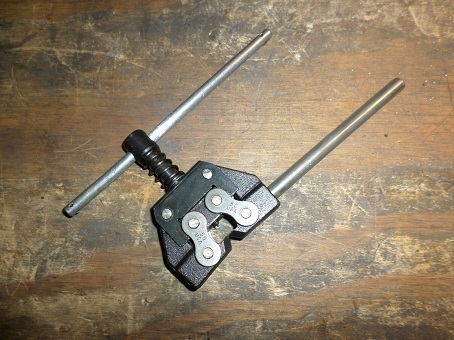 If you need to remove and replace your motorcycle chain, buy a quality chain breaker. It will help you press that master link into place quickly. Sitting unused, gasoline turns bad, and over several years of time it will turn to varnish. Fuel system maintenance includes checking fuel lines for cracking and weathering, and checking your fuel filter to make sure it's not clogged. 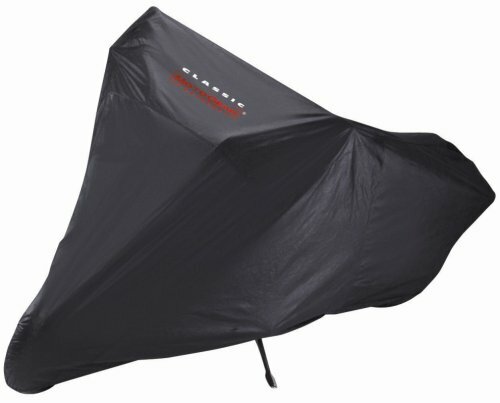 Indoor motorcycle covers are a good investment, and can be bought for as little as $40 to $60. Most are machine-washable and dryable for easy care. Better covers are made of fabrics that are breathable, allowing inside moisture to escape. These are in the $100-$150 price range, and usually include a storage bag and tie-down cords. Checking tires regularly is an important part of motorcycle maintenance. At least once a week, or daily when on a trip, visually inspect tires all the way around for any signs of damage. Check and maintain the correct inflation pressure for your year and model. To clean your sidewalls, use a mild soap solution and rinse off with plain water. Never use protectants, cleaners or dressings. They will degrade the rubber. Replacing front fork seals can be a tedious project, but can be done in your home garage. You will find that it's also great time do other related work as well, like polishing the forks or adding gators. If the steering head bearings on your classic bike haven't been serviced in years, it's probably past due. 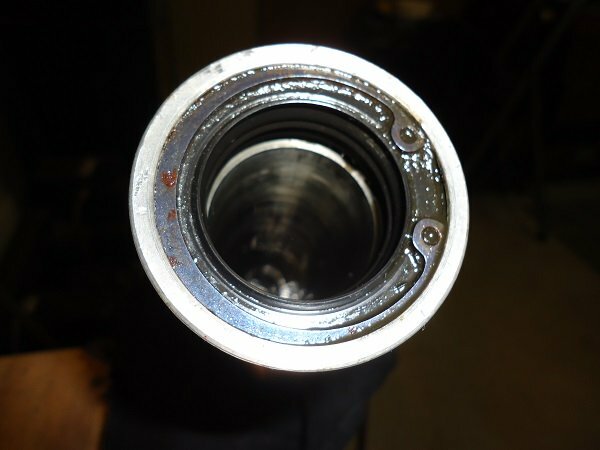 Old rusty bearings are a safety risk you don't need to take. It is recommended that fork oil be changed every other riding season, or every several years, depending on how much riding is done. Use 20 weight for average conditions. For extreme conditions use 10 weight or 30 weight accordingly. Dry fork requires .5 to 1.0oz more than the wet amount due to residual oil left clinging inside the fork. WET: Means you just drained the oil out of the plug and want to refill it. DRY: Means you disassembled the forks and cleaned them dry inside and out. Another way to measure is to push the forks down all the way while the caps are off, and fill it to 5" below the upper edge of the fork tubes.